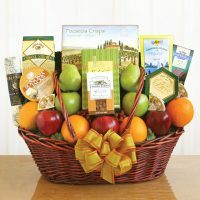 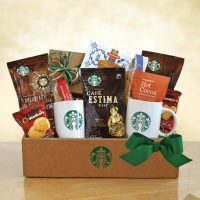 Our signature California Delicious gift box holds wines & gourmet delights hand selected just for you. 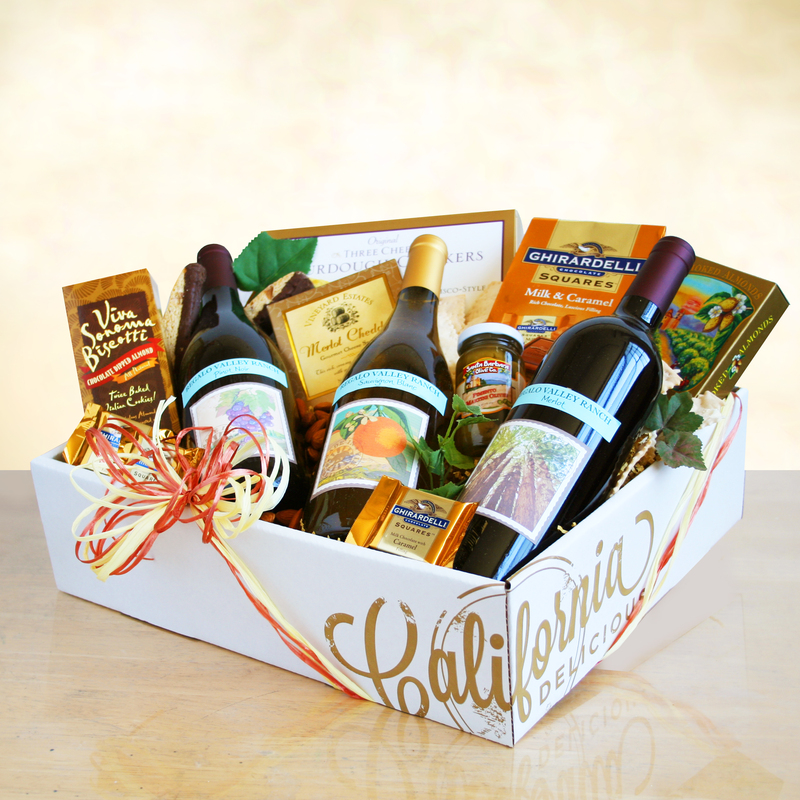 Our signature California Delicious gift box holds wines & gourmet delights hand selected just for you. Surprise someone special with California gourmet greetings that include three bottles of Regalo Valley Ranch wines, including a 2013 Sauvignon Blanc, a 2013 smooth Merlot and a 2013 Pinot Noir. 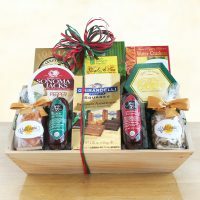 They will raise their glasses to you as they enjoy these fabulous wines along with crunchy biscotti, California Delicious sourdough crackers, creamy cheese, smoked almonds and Ghirardelli milk and caramel chocolate squares.